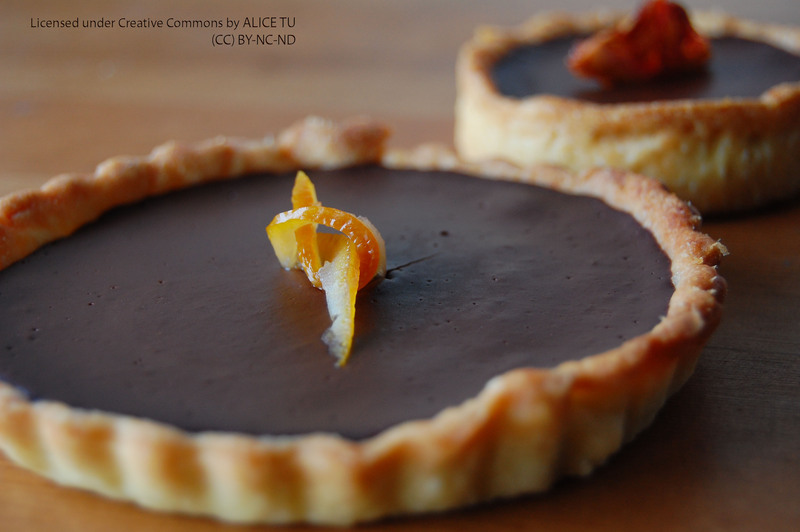 I came across something nice, dark chocolate and orange, and decided I wanted some in one of my favorite dessert forms – a tart. My original idea was to fill a sweet pastry crust with chocolate ganache that was flavored with zest and some orange syrup from candying orange peel earlier on. That was Saturday, Sunday, Monday… all the way up through Wednesday, when I came across an interesting chocolate tart recipe that called for eggs and milk in the filling in addition to chocolate and cream (the basis of a ganache). The resulting filling was creamier and lighter, like a thick mousse, rather than a denser ganache truffle. I also tested a separate ganache filling as originally planned for comparison. Both are excellent to be sure, but I’m glad I went with the custard filling. 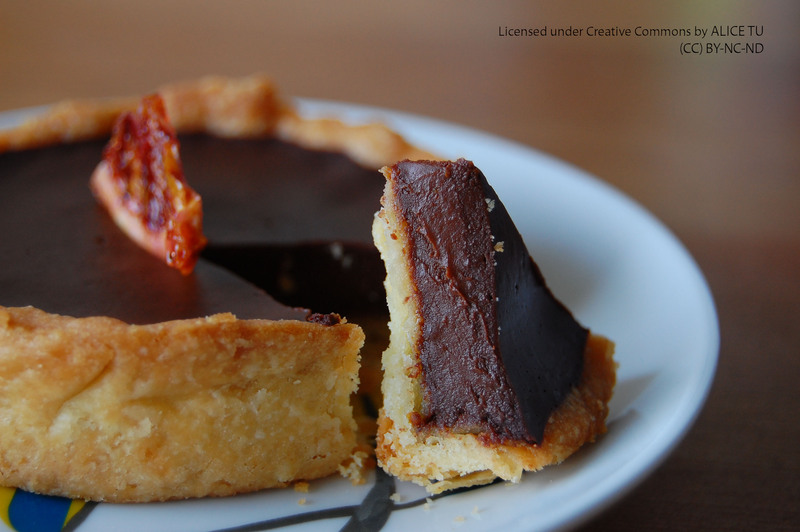 The ganache tart is easy and elegant for a ritzy dinner party or potluck when you’ve signed up as the ‘sweets’ person. Unlike the custard filling it does not need to be baked twice. Try it here, or wait ’til I come around to making it for another week! 3. Stir the chocolate smooth. If there are a few lumps microwave the mixture for 10-20 seconds at a time, stirring after each time. 4. Pour your ganache into the pre-baked shell. Allow the chocolate to set at room temperature for an hour or more. Serve at room temperature. Subscribe to Bakery Bites Blog here.